The IES Luis Vives is working in a multilateral project about Art with other European schools. Students and teachers of Arts baccaulerate are immersed in various artistic activities which have the economical crisis as the high point of analysis and creation, from the point of view of plastic arts, linguistic, theatrical, musical, as well as from the aspect of investigating and analysing the situation we are living. 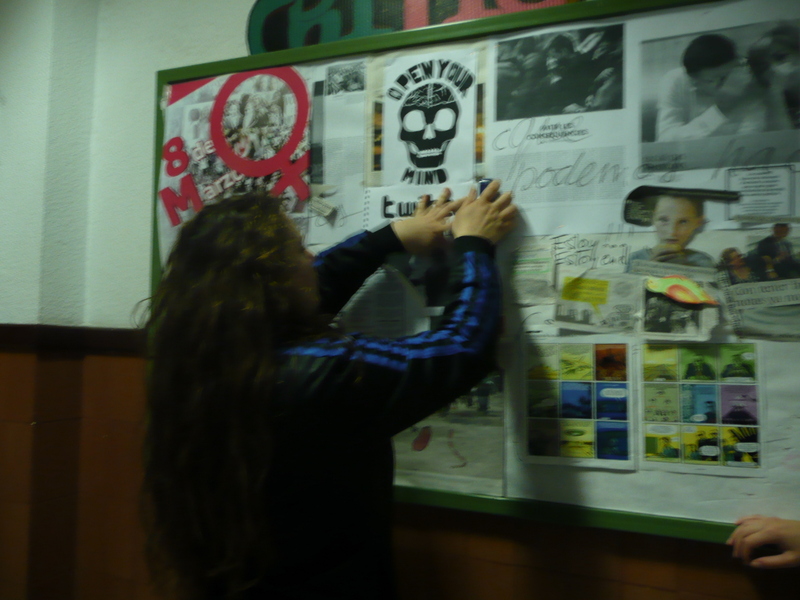 We began our activities with the creation of THE criticART WALL, where we have made a collage with all the news and pictures/drawings about the crisis. We continued with the design of the logotype of criticART, currently in the contest phase in the team made up of the seven member countries.